Planning to put your home on the market this summer? To get it sold quickly and get top dollar, you will likely need to make some improvements. One suggestion real estate professionals often make is to update the home with a fresh coat of paint. So, whether that means hiring a contractor or picking up a brush and roller yourself, head to the paint store before putting that FOR SALE sign in the front yard. Curb appeal is your home’s “first impression” on the buyer. Talk with your realtor about whether your exterior needs to be painted. Pay attention to all the external components, including the mailbox post, siding on the house, and any storage or garden sheds on the property. Repaint or touch up where necessary. 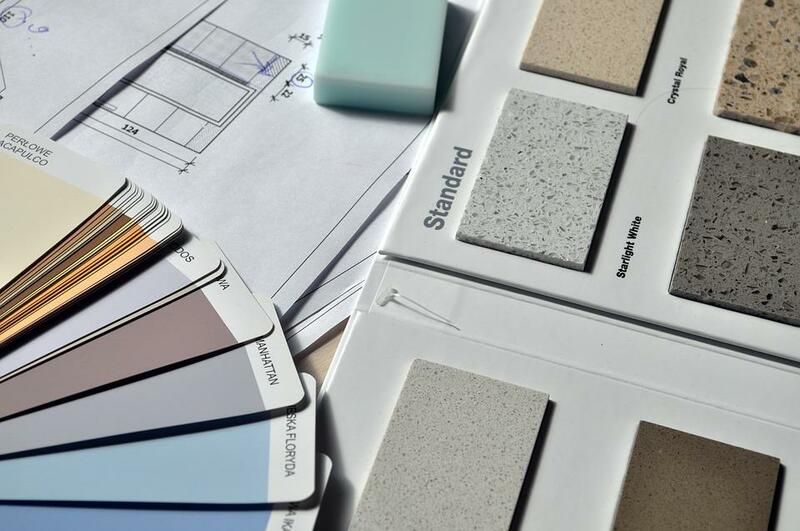 You may consider using your old paint color, or you may take this opportunity to update your home by choosing a new color and trim. If you need assistance selecting colors, consider online tools such as the Benjamin Moore Personal Color Viewer. This resource allows you to upload a photo of your home and see it in a wide variety of colors and trims. A fresh coat of paint can go a long way toward updating your home and attracting buyers. Benjamin Moore’s The Psychology of Color describes the science behind color and how it can affect a space’s mood. When attempting top dollar on your sale, consider how the colors you choose may affect the presentation of your home. The rule of thumb is to incorporate no more than three neutral colors throughout the home. Neutral palettes, such as earthy hues of slate, clay, and sand are some classic options. Whites are also a good choice as they present the room as a clean canvass. Once you have the walls painted, be sure to remove heavy drapes so the natural sunlight filters in. Most buyers will be touring the home in the middle part of the day, so you’ll want to present your home in the best light possible. Painting over existing bright or bold paint colors with a neutral tone will increase appeal by potential buyers. While your burgundy accent wall may add appropriate drama and tie in well with your style and décor, it may not be so for prospective buyers. In fact, it could cause such a distraction that they too-quickly discount your home as a viable option. Consider painting over any bold colors and keep the consistent neutral palette throughout the home. If you’d like to freshen up your home’s interior or exterior paint before putting it on the market this summer, consider us at Brel’s Custom Painting. We’ve been custom painting for over 15 years, and will work with you to determine the best options for your home.